Uk based PhotoProfessional magazine www.photopromagazine.com has featured the work of Allan in their latest issue, (issue 96) released Aug 24. 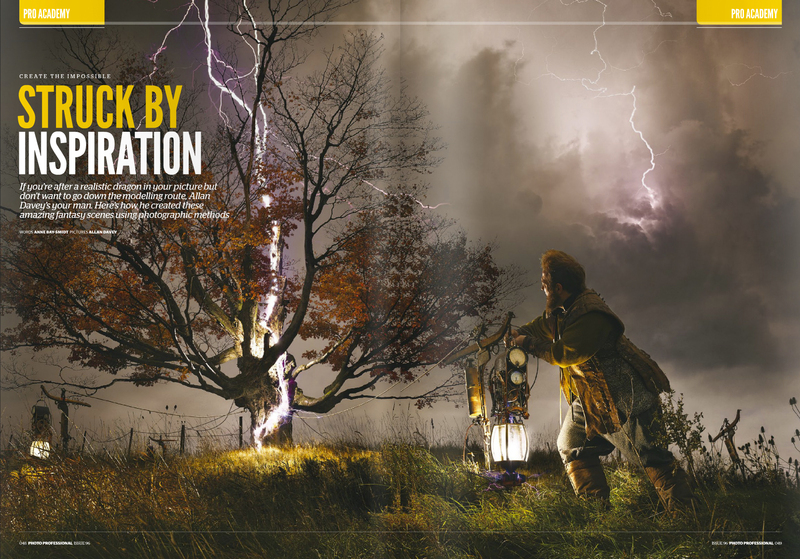 The Article talks about two recent photographs, ” The lightning Collector ” and “The Last Battle”. Photo Professional magazine targets the whole territory of professional photography.With a readership that consists of full-time professionals, part-time pros and those aspiring to break into the market, the title concentrates on money-making ideas, essential marketing tips and advice from seasoned experts who are happy to pass on their experience. You will also find regular reviews of the latest pro gear included every month, plus features on high-end technique which are designed to boost the skill set of the working professional.